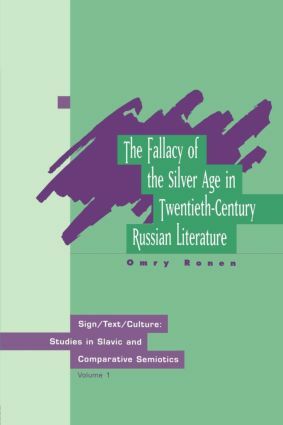 In this study, Ronen critically examines the term "Silver Age", which over the years has gained such wide currency among historians and connoisseurs of 20th century Russian culture. The author traces the origin and the controversial development of what he condemns as an influential misnomer. Ronen sets out to debunk the myth that attributes invention of the term to Nikolai Berdiaev, and in turn traces this widely used catchword in the critical idiom from an abscure, avante-garde manifesto to the present day. He lays to rest the use of the term which he sees as the most misleading constituent of Russia's contemporary cultural self-awareness and self-assessment. “The Parnassus of the Silver Age” or “The Second Russian Renaissance”?